I would like to enter my GSD Dakota in your contest. Kota is my Psychiatric Service Dog. She accompanies me wherever I go 24/7. Kota alerts to my issues, such as panic attacks, being overwhelmed, migraines, and many others. She lets me know ahead of time that these incidents are about to occur, then helps me mitigate them so that they are greatly reduced, or do not occur at all. I also suffer from agoraphobia and severe social phobia – I’m terrified of people. With Kota at my side, I am able to leave my house for walks with her, go grocery shopping, meet up with friends, go to the Mall, and everything that “normal” people do. I used to be highly suicidal, chronically deeply depressed and would self-injure. Within months of having Kota, she would respond to these acts and bring me back to reality, and shortly thereafter I ceased having these conditions altogether. I used to have to take massive doses of many medications. Since I got Kota, I am now only taking 2 medicines. Kota has saved my life. She has given my life back to me. Without her, I would simply have no life. 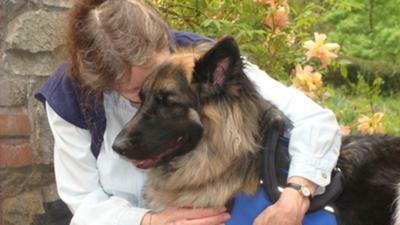 Hi Deb and thanks so much for sharing the wonderful story of your life with your German Shepherd, Kota. I'm sure this type of job may be one that most people are unaware of but it is one that is so amazing and I really appreciate you sharing your experiences with us. I wish you both the best. 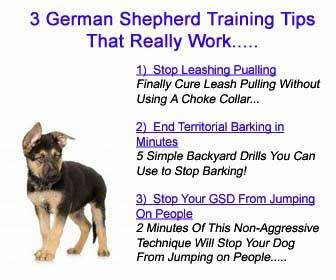 I've trained mine from 13 weeks. She's been my savior now several times. I seem to lose time when it gets severe. She always seems to keep my interests secure. Last time I had this problem I missed 10 minutes and when I realized what happened. She was right there. Guarding me from all the right people, and obeying the EMT who I found out later has a GSD SAR dog that speaks German. He was quite impressed at her loyalty and ability to obey his commands. Thank God for these Furry Angels for without some couldn't cope. I wish you and yours the very best.